For Peter Asher at the Dakota Jazz Club, the third time was still charming. For the third consecutive year, the Forrest Gump of rock brought his in-concert multi-media memoir to town. It was a delightful evening of insider stories about the Beatles, James Taylor, Linda Ronstadt, show biz, the music biz, the soundtrack biz and, most of all, Asher himself. 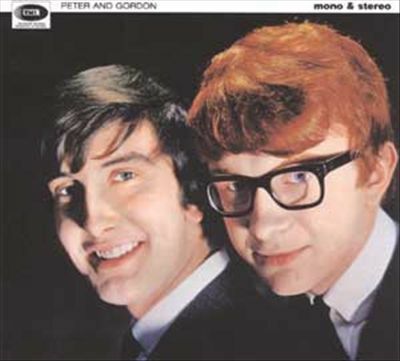 The veteran Brit was a pop star (Peter & Gordon), a movie actor (both as kid and adult), talent executive (starting at the Beatles’ Apple records), producer, manager and soundtrack recording artist. He’s won Grammys (as recently as this year) and given induction speeches at the Rock and Roll Hall of Fame (this year for Beatles manager Brian Epstein and Rolling Stones manager Andrew Loog Oldham). In his nostalgic and entertaining 2½-hour presentation, Asher, who turns 70 on June 22, told some of the same stories as in the past about his sister Jane Asher dating with Paul McCartney (who moved into the Asher family home), John Lennon meeting Yoko Ono at Asher’s art gallery, James Taylor showing up at Asher’s London flat and getting signed to a record deal by the Beatles within days, and daughter Victoria Asher becoming a rock star recently with the synth-pop band Cobra Starship. Asher’s Beatle connections run remarkably deep. His mother, a professional oboist and teacher, had a young George Martin as one of her students. Of course, he became the Beatles producer. Asher also brought a new special guest – the Webb Sisters, a British sibling duo which he produces and manages (his only current client as a manager). In addition to Asher and his band singing several songs (including with the late Gordon Waller on video), his show includes priceless Beatles photos and clips of Peter & Gordon performing on Ed Sullivan, "Hullabaloo" and other TV shows. There is also a clip of the Rutles movie (Eric Idle's parody of the Beatles), featuring John Belushi and a curly-haired bespectacled comedian, Al Franken. It’s pretty hard to forget any of the memories Asher shared about his amazingly well-connected life. He performs again at 7 p.m. Wednesday at the Dakota.